With the right approach, branded content is a powerful tool. In the digital age, consumers like to connect with brands that not only inspire them but offer a level of value beyond a marketing slogan alone. And one of the most effective ways of connecting with new consumers is through branded content marketing. 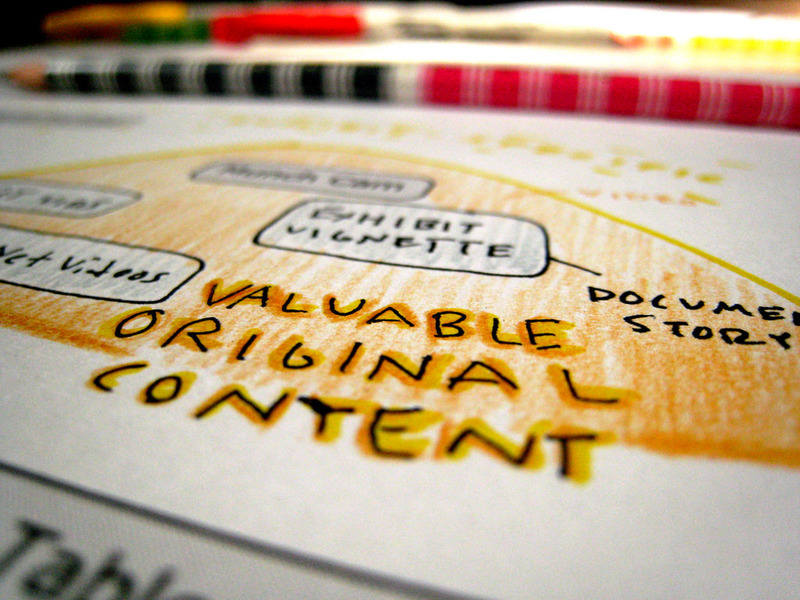 Content marketing has the power to provide your target audience with a unique experience tailored to their specific needs across a multitude of channels, forging meaningful connects that result in lifelong brand loyalty – which ultimately leads to more profits. In fact, a recent study suggests that brands with industry-leading content marketing campaigns enjoy year-on-year growth that is 7.8 times higher than their competitors. Now, of all of the content marketing methodologies available in the digital age, branded content is perhaps the most effective. Here we explore the meaning of branded content by exploring real-life examples that not only lead the way in terms of innovation but served to generate amazing results for the business behind each campaign. A branch of content marketing, branded content is a means of promoting a product, service, or sharing a message with your target audience by producing inspiring, engaging content based on your business’s core values and beliefs. It’s possible to deliver branded content in a host of different formats, including articles, blog posts videos, podcasts, cinematic productions, musical arrangements, and more. Regardless of the medium, you should always connect with your prospects on a personal level that drives real value. At present, around 86% of TV viewers skip over an advert when they see one. That said, branded content has moved away from traditional advertising approaches and instead, migrated towards a wealth of digital techniques that engage their audience on a far deeper level. From vibrant web-based news articles to music videos and even data-driven print media, today’s brands are pushing the envelope when it comes to innovation – and it’s working. That said, to give you an idea of how a successful branded content marketing campaign looks, here are four shining examples of branded content for the modern age. In 2015, travel industry disruptor Airbnb propelled its brand to dizzying new heights with a small selection of videos that, at first glance, appear incredibly subversive. These bite-sized branded videos are eye-catching, concise, entertaining, and deliver the company’s core values with a single minute or so of footage. As a result, this branded content campaign allowed Airbnb to surpass its annual growth targets in countries including France, the US, and South Korea. The perfect example of a digitally transformed traditional media company working in harmony with a cutting-edge contemporary platform to deliver powerful, engaging, and thought-provoking message, this collaboration between the New York Times and Netflix is a work of modern art. In a time where the number of consumers willing to pay for newspapers and magazines is dwindling, old media has to find new sources of revenue – online as well as in print – to survive in tomorrow’s world. With this in mind, the New York Time,s produced a powerful, interactive, fact-based, insightful, and visually-stunning online article sponsored by the iconic Netflix Original show, Orange is the New Black. The article, Women Inmates: Why the Male Model Doesn’t Work, is entirely relevant, completely shareable, and delivers a message that speaks to a great portion of its target audience on a personal level, thereby earning this piece of branded content a colossal level of social media engagement in addition to a great deal of positive media coverage from a host of other reputable online publications. The rise of SVoD platforms such as Netflix and Amazon has encouraged a notable rise in product placement on original television shows and box sets. But, this particular piece of branded content takes advertising approach to a whole new level. OK GO, a revered alternative indie band from Chicago that is celebrated for its quirky, inventive, and entertaining music videos, earned motoring giant Honda a significant boost in brand awareness during the launch of the company’s ground-breaking UNI-CUB self-balancing unicycles. This catchy, eye-grabbing video production showcases the incredible capabilities of Honda’s unicycles without a blatant brand mention, and this particular piece of branded content just goes to show how you can achieve powerful when creatives and corporates collaborate. To date, this video has earned almost 40 million YouTube views – a level of engagement that’s had a direct effect on Honda’s boost in brand awareness as well as the overall product success if its product launch. In a time saturated by eBooks, whitepapers, and digital publications, some brands are looking to add inventive twists on traditional, more analog concepts in a bid to stand out from the crowd – Net-a-Porter is no exception. The leading high-end fashion retailer, Net-a-Porter turned heads and commanded consumer attention with the launch of a glossy, highly-targeted, and flawlessly produced print zine that is still revered as one of the most commercially successful of its kind. While a print-based initiative seems like a step back in time, its razor-sharp content targeting was achieved by analyzing a mix of consumer data from the brand’s website in addition to the insights collated from global magazine marketing intelligence. As a result of this savvy campaign, the magazine earned a circulation of around 180,000, outselling many traditional fashion mags, almost matching the success of Vogue. 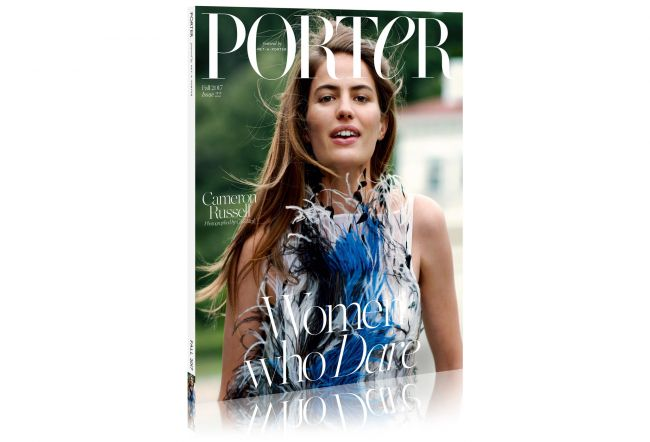 Due to its roaring success, Net-a-Porter now runs a bi-monthly branded print magazine that offers its readers an omnichannel marketing experience, allowing them to scan a print issue with the Net-a-Porter app and immediately arrive at a relevant purchase page, offering niche value through its inspiring editorials while encouraging its readers to shop online. Last year the company enjoyed an incredible 11.8% rise in revenue, surpassing the $2.5 billion mark and branded content campaigns like this have helped the brand to remain relevant while thriving in a competitive marketplace. While some of these branded content examples were perhaps created with big budgets, what’s particularly striking about these four very different but equally powerful creations is the thought process behind them. To strike a genuine chord with your target audience and inspire a healthy boost in brand awareness, it’s the concept, creativity, and willingness to embrace emerging platforms or fresh partnerships that counts. By taking the time to discover what your target audience needs, and wants, gathering the right data, considering your core values, mapping out your brand story and using these elements to create something innovative, inspiring, and worthwhile through mediums that work for you, the rewards will be great. These shining examples of branded content offer four excellent blueprints for ongoing marketing success and by using these ideas as templates for your own campaigns, you will create something that not only makes people stop in their tracks but will also earn you the level of commercial success that you no doubt deserve. For more eCommerce-based marketing campaign inspiration, explore these four stunning examples of how businesses are using chatbots to increase online sales.